Previously shown but “the topping” was never addressed. 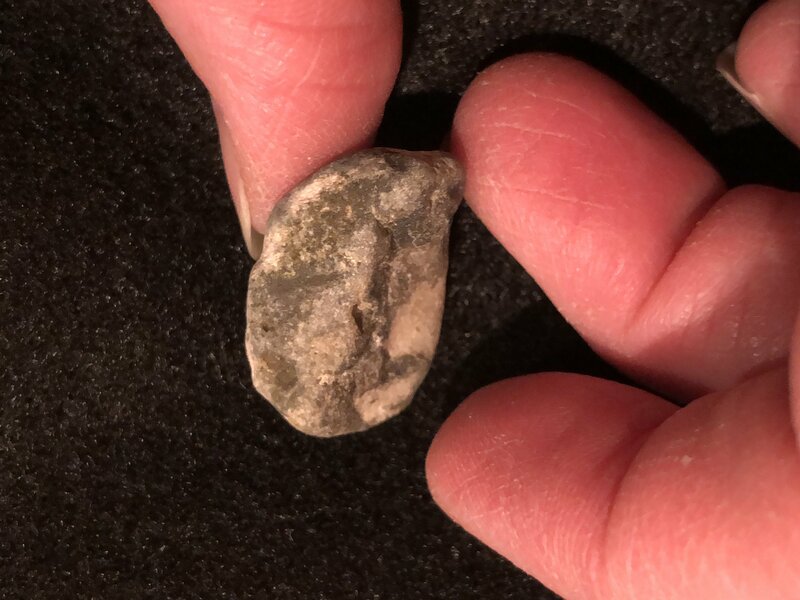 Not a fossil. What post are these answers in reply to? Please repost these answers in the proper post with the questions. What I enjoy on TFF is the ability to address science but also to have fun with it. The responses I have previously received on other posts have been fun but also informative. Frankly- it is what makes this Forum special. It could just be the sediment that once burried the fossil that has now turned into stone. The holes that surround the outside might be caused by chemical weathering. Please be more respectful-. This is my friend, thinking happy thoughts. His name is BOB ROSS! 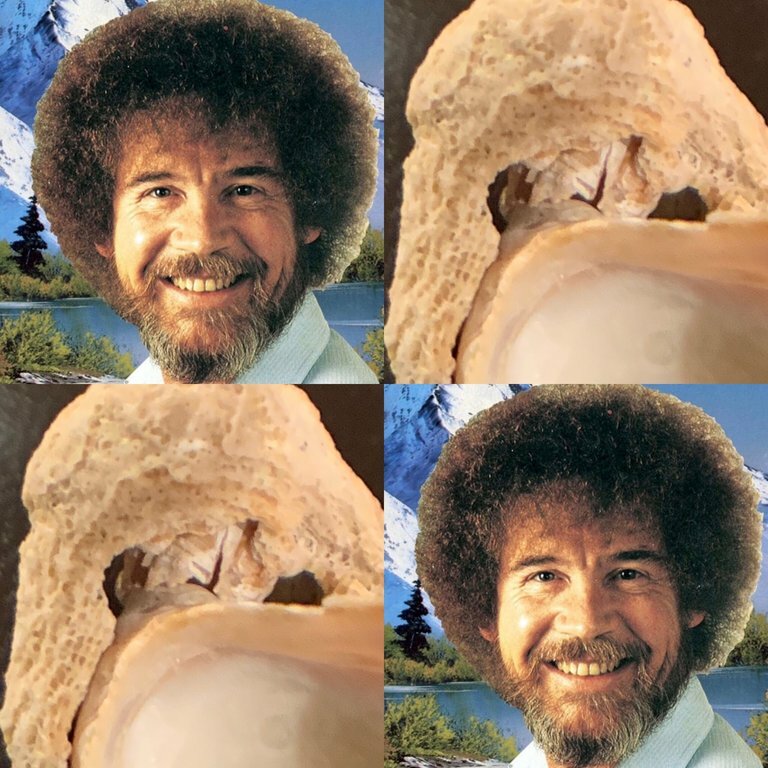 I don't think it's a "happy little cloud". Of course. I didn't recognize them with so many 'front doors' still in place. I can envision a few different reasons for that. Starting with weak attachment points coupled with erosion could be responsible for the holes. 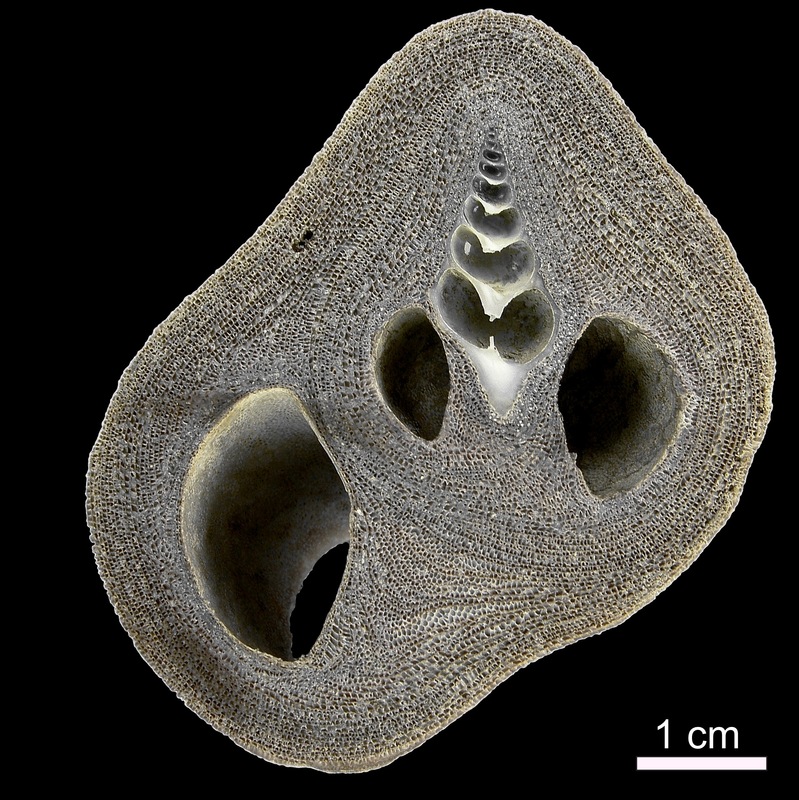 Could be another epibiont like a barnacle attached there, and that then had the bryozoan form on it. Being farther away from the main shell, the bryozoan grew over and around the barnacle, creating the voids. Sorry Kane- if you look at the top, I intentionally made one of the three keywords/headings “not fossil”. There was a forum even as of last week for unusual items, but my “I cannot sleep, 3 AM quasi-minded self” decided this was the best category for it. Speaking of which, how is the grading of papers going? 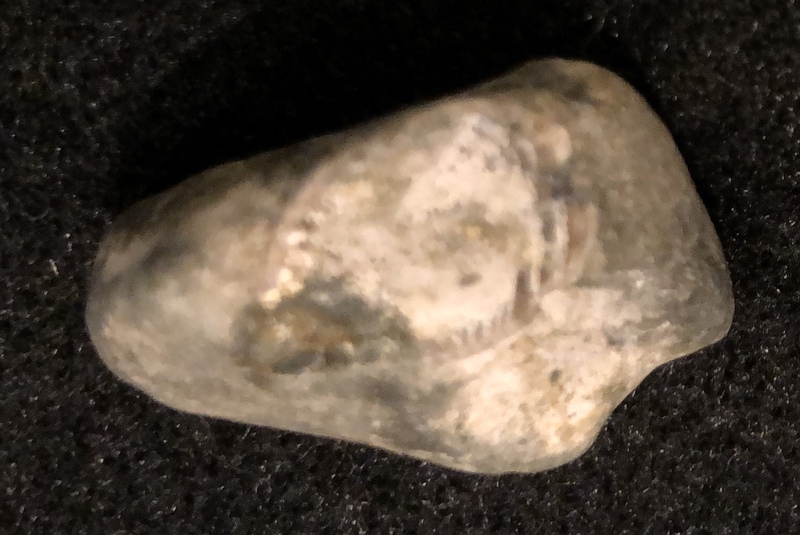 Probably would be best to post fossils in Fossil ID. As this becomes an archival resource for future searches, it's good if we can keep everything tidy and in their right boxes. Or, alternatively, under the Members News and Diversions, you could start your own beach treasures thread. 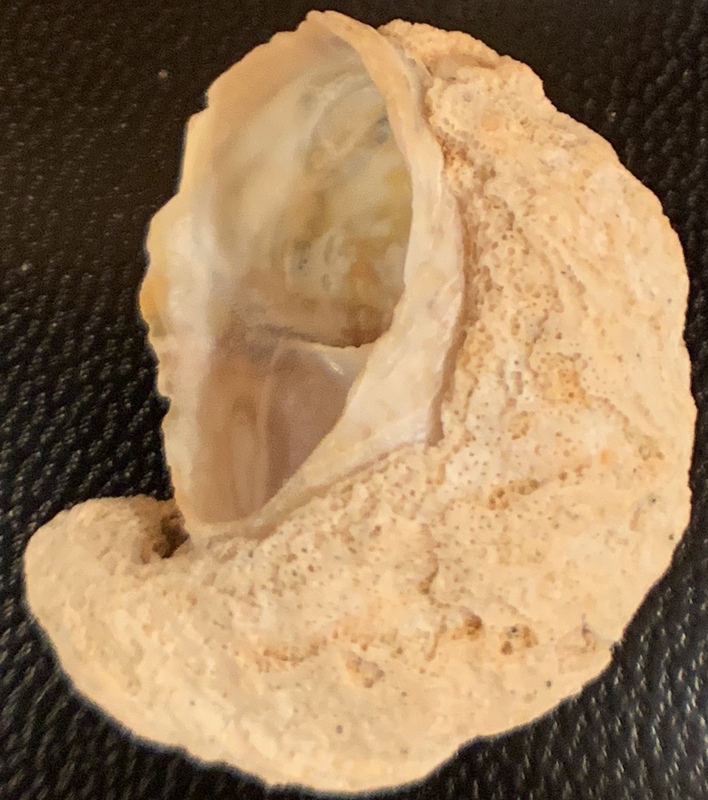 I'm sure a good number of our other members also have beach finds to share as well (I actually have some modern shell/coral displays, too). Kane- here’s where frustration storms in... my post WAS RELATED to two of my previous fossil posts. It would be nice for me as a member to streamline my posts as well. I was very clear that I knew this was not a fossil. The first was to assist with a Fossil ID. 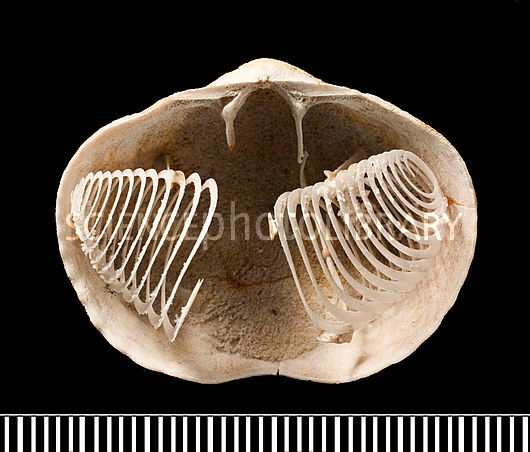 The second was the fossil I posted, which was identfied as “the internal structure of a ‘Devil’s Toenail’ (Gryphaea). I still think it would be awesome if you could kickstart a thread just for your neat modern beach finds as you seem to have some great luck. I would love to jump in on that! If you do it, I'll come and play as well, as likely others will, too. It is a good idea to streamline posts. No argument there. However, it is necessary to keep non fossils and fossils separate. We don't wish to confuse our audience. Despite the tags, (which many people overlook, and are more for use as search terms) it is a good practice to state anything you put in tags into the first post of the topic. 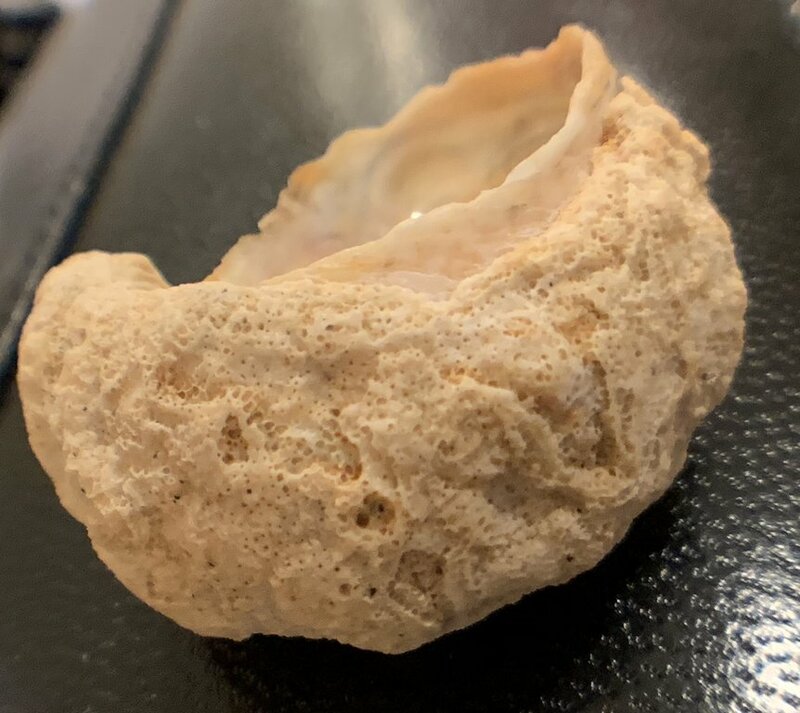 The item stated to be the "internal structure of a Gryphea" looks more like a cross section through the lophophore of a brachiopod, ... to me. 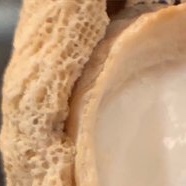 The specimen might be a bryolith in one of the stages of formation around a bivalve shell, in the variant in which many layers of zooids are packed tightly over one another, creating a dense, solid structure. The general form is close related to the nucleated substrate. Hope these help for the "topping". Did you know? 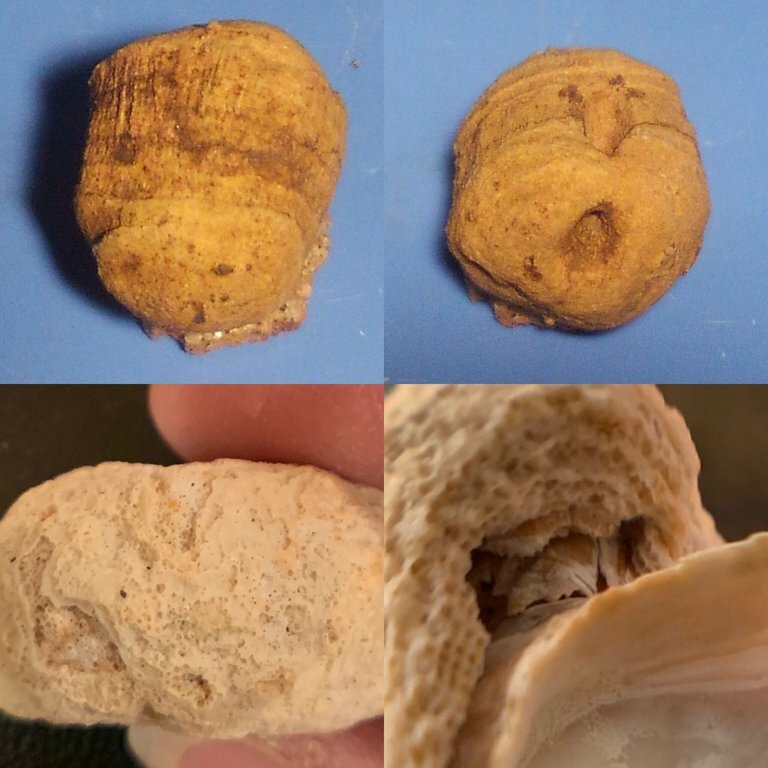 Atlantic Slippersnails grow where they settle as tiny "spat" and have shell shapes that conform to their location. Slippersnails are famous for growing in stacks. 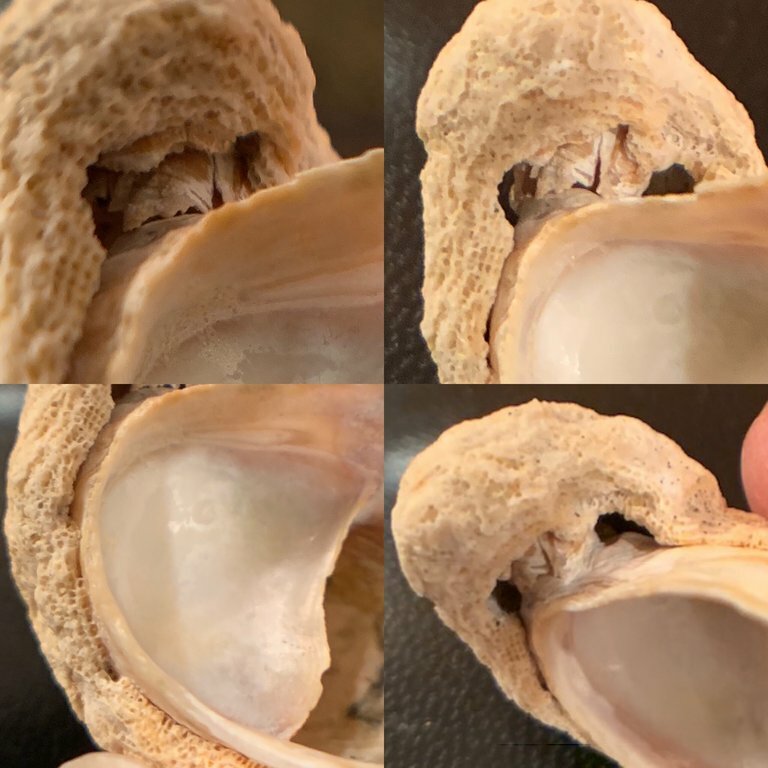 The bottom snail in the stack began life as a male and switched to female. The snail arriving to grow on the bottom female remained male until another snail settled on it. Each arriving young snail assumes a males role until another snail arrives, a process that can continue to the height of ten or more slippersnails. The stacks do function in reproduction, but the snails species name may innocently refer to it's curved shape. So what you have is 2 Slippersnail shells stacked together. 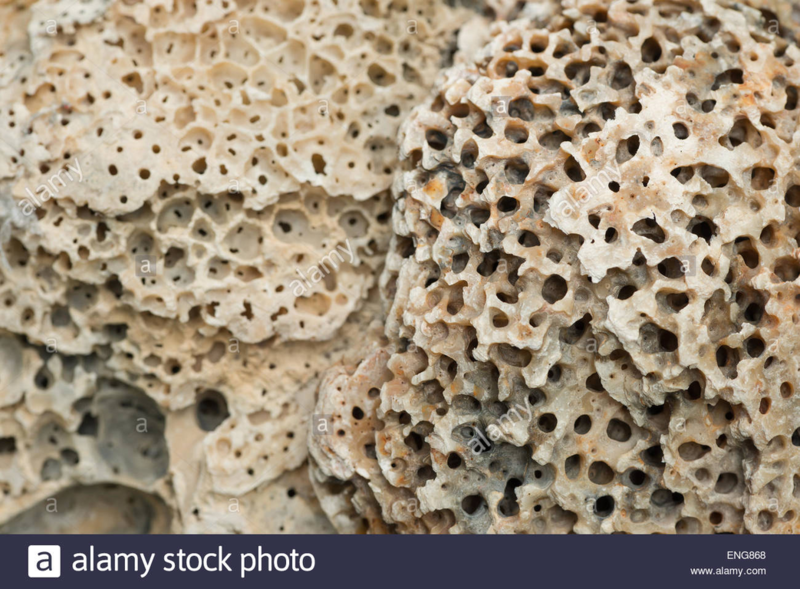 The one with holes is the result of a Boring Sponge or bio-erosion like mentioned before. Below is an example of the boring sponge damage. 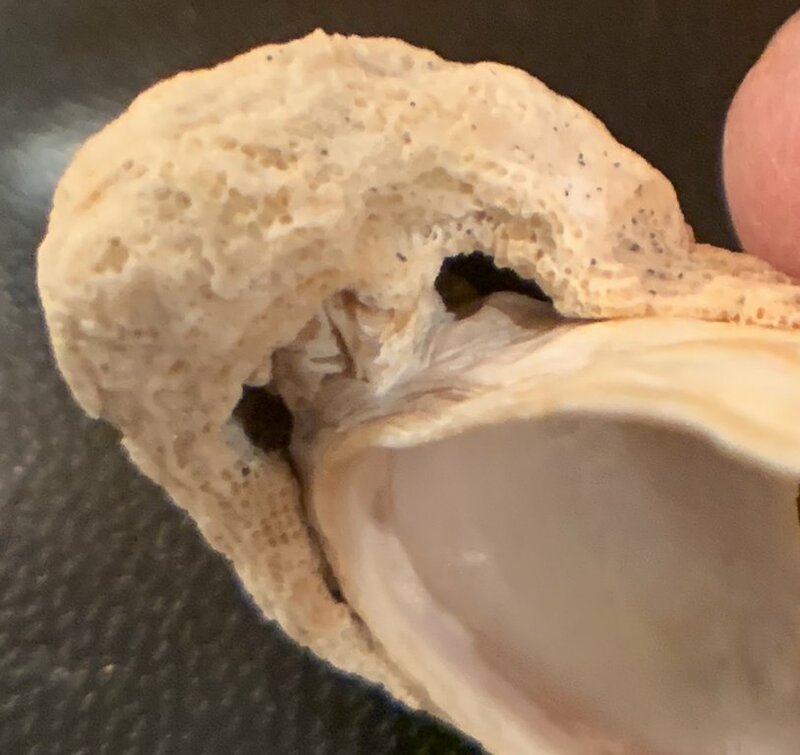 Here is a detail that leads me to think that some other organism is growing on the shell, such as a sponge, coral or bryozoa. Notice the cellular texture. 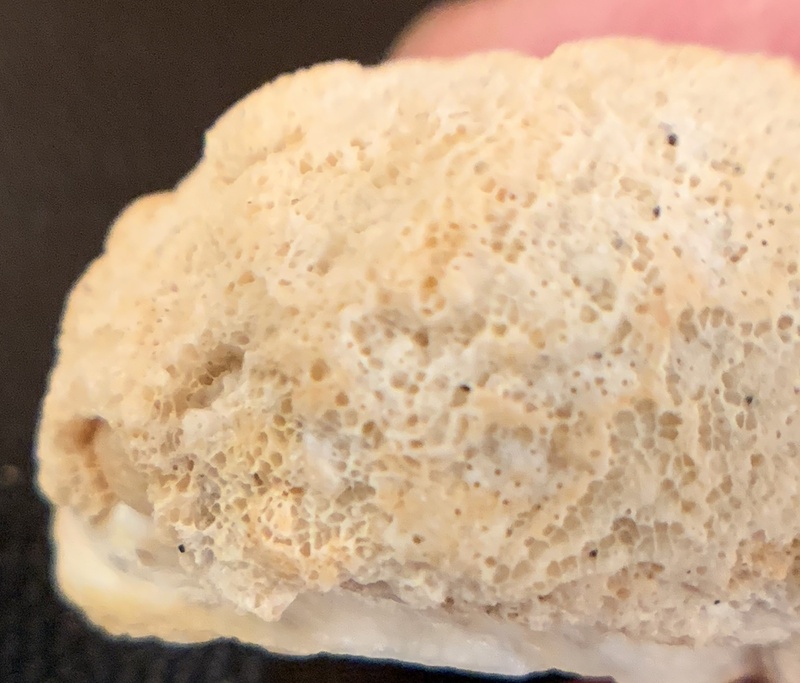 It is too regular to be sponge borings or bio erosion. There could be some boring or bio erosion on other parts that are less regular.